Remember being 14? If you need a comic refresher on the drama, pressure, self-doubt, bullying, fear and hormones, “Skippy Dies” is a great place to start. Irish author Paul Murray writes beautifully, humorously and sympathetically about the inner lives of 14-year-old boys and girls residing in a posh Dublin boarding school. He weaves us in and out of the minds and hearts of some twenty characters, most notably Daniel “Skippy” Juster. Its a testament to Murray’s writing that the readers continues to turn page after page (and there are 660 pages) even though he or she knows the protagonist dies from the title. We follow five characters closely, privy to their most intimate thoughts, fears and ramblings, as they navigate through first loves, depression, regret and inertia. Murray reminds me of a favorite teacher, one with an endless amount of arcane knowledge, who can spool together passages on string theory, video game lore, eating disorders, Irish mythology and World War 1 and keep you riveted. The theme of this powerful book is the painful entry into the adult world, sadly full of more actuaries and run-of-the-mill teachers than of pop stars, rappers and ninjas. Our glimpse into the adult side of the equation comes through teacher and former Seabrook student Howard the Coward, teaching history as a default career while drifting through a stalled relationship with an American woman. A substitute teacher — the beautiful Aurelie who inspires a love for geography in her smitten students — becomes the catalyst for his eventual break-up with the girlfriend and finally, his satisfying journey of through loneliness and childishness to self-discovery. His character reminds of my favorite man-boy protagonists — Rob Fleming in “High Fidelity” and Will Lightman in “About a Boy,” both novels by Nick Hornby. And of course Peter Pan, the boy who would not grow up. But Howard does grow up, as do the students who are left to pick up their own pieces in the wake of Skippy’s death. 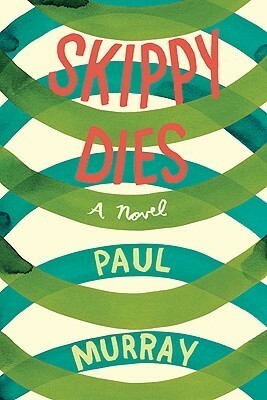 Ultimately a book of hope and humor and resilience, “Skippy Dies” does not skip the dark matter of teen years — the sexual abuse, sexting, bullying, drug use. It is as true a picture of adolescence as I’ve read, written sympathetically but not sentimentally. ← Can the human brain actually calculate risk?